Stuart started his senior career at Montrose, making his first team debut in 1979. In 1981, former United player Alex Rennie, then manager of St Johnstone, brought the midfielder to Muirton Park for £20,000, and alongside other former United players George Fleming and Derek Addison, he formed part of the team that won promotion to the Premier Division in 1983. Having tried to sign the Aberdonian for over a year, Jim McLean finally got his man at the end of the 1983-84 season for a fee of around £90,000, and he made his first appearance for United against Viktoria Aschaffenburg in July 1984 during a pre-season tour of Germany. He made a scoring debut in major competition against Celtic at Parkhead in August and was prominent in the line-up throughout that season, collecting a runners-up medal in the League Cup final against Rangers in October, and scored the opening goal in the Scottish Cup final of 1985, but ended up on the losing side against Celtic. In the following campaign, Stuart gradually fell out of contention and at the end of the season he moved to Hibs along with Billy Kirkwood for a joint fee of £130,000. He was not at Hibs for long before moving on again to join Dunfermline Athletic, season there, 1988-89. 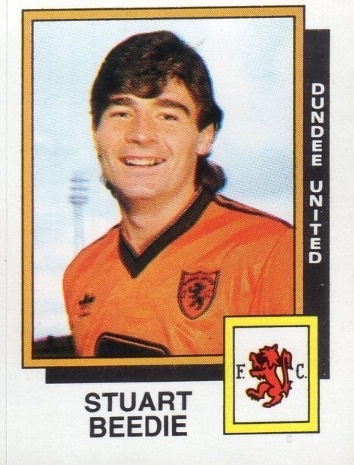 Stuart then signed for Dundee, and he was in the squad which won promotion to the Premier League in 1992. 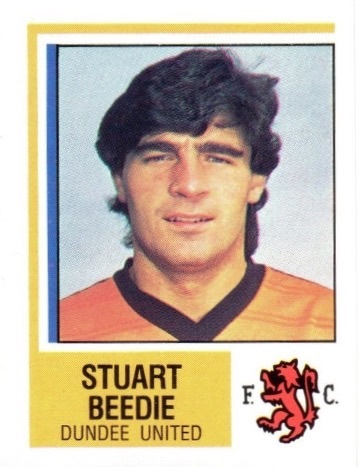 He then moved to East Fife in 1993 for a short time and ended his playing career back at Montrose two years later, when the club won promotion to the Second Division. 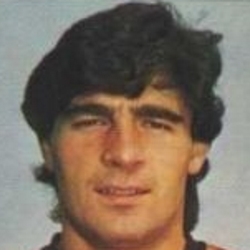 Stuart then went to Australia where he managed Wollongong Wolves and Illawara Dapto. 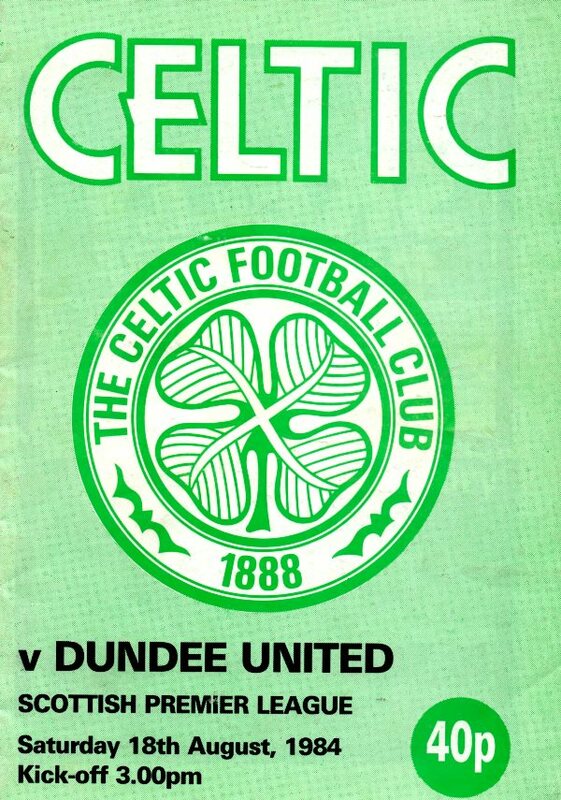 United's new system worked perfectly for most of this game and only a highly individual goal by Brian McClair denied both points coming to Tannadice. The bizzare events at Dens Park produced the unusual sight of Hibs cheering a home defeat! After a slow start we gradually took control and deservedly took the lead in 25 minutes. Fittingly, Paul Sturrock was the instigator. His superb through ball produced a race for the ball between Ian Redford and Alan Rough, Ian won and his shot was sliced into the net by Mark Fulton in an effort to clear.